MOSCOW, September 11. /TASS/. Russia’s strategic missile force has test-launched a silo-based solid-propellant intercontinental ballistic missile RS-24 Yars armed with a multiple warhead from the northern cosmodrome at Plesetsk, the Arkhangelsk Region, the Russian Defense Ministry said. "The main purpose of the launch was to reaffirm the reliability of a batch of the same class missiles. 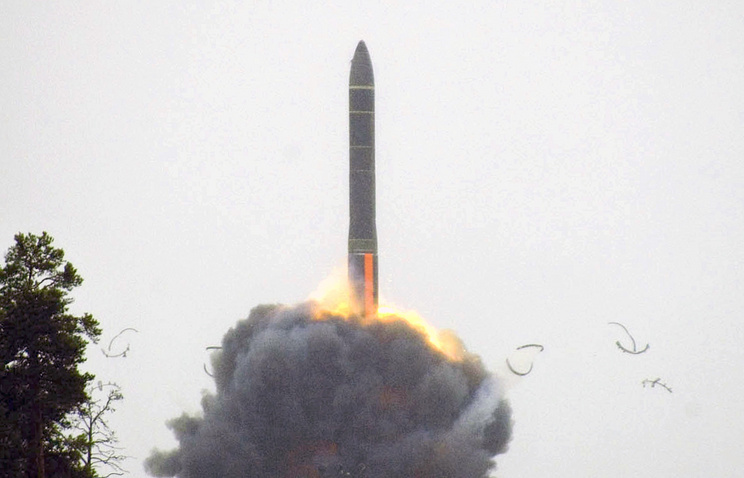 The experimental warheads reached the designated area at the Kura proving ground in the Kamchatka Peninsula. The targets were met and tasks accomplished in full," the Defense Ministry said. The RS-24 ICBM was designed by the All-Russia Thermal Engineering Institute. It is based on the same scientific and technological solutions as the Topol-M missile, which allowed for considerably reducing the research and design phase and costs.